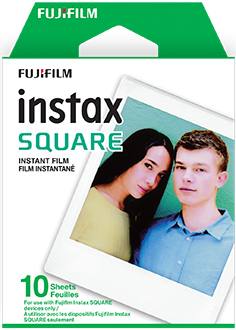 Square film is larger than traditional Instax Mini film allowing you to capture more of a moment. The fast developing film lets you view your photos in an instant. Instax film ensures sharp, clear reproduction, vivid color and natural skin tones. Square film is only compatible with square format instant print cameras and printers.